Participants from ITER, UKAEA, AREVA, and industry experts convened at the UKAEA Headquarters in Chilton, UK on 29-30 September to discuss decontamination and cleaning methods. 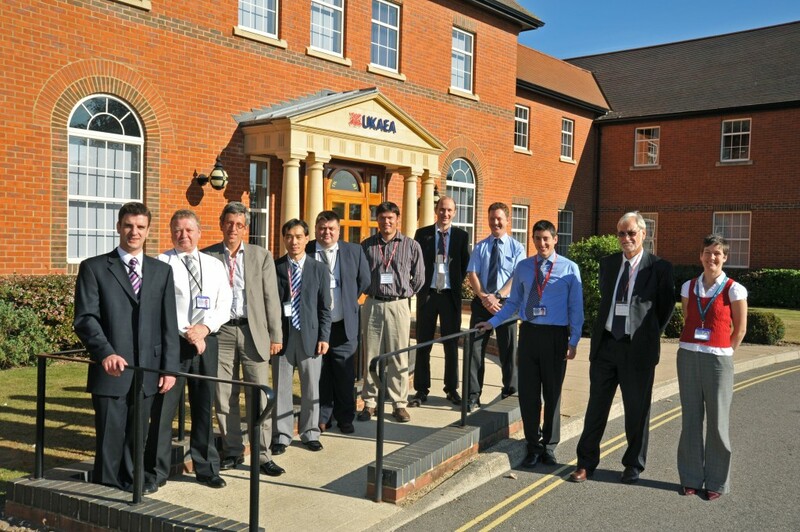 A Decontamination and Cleaning Methods Workshop was held at the UKAEA Headquarters in Chilton, UK, on 29-30 September, with participants from ITER, UKAEA, AREVA, and industry experts. Members of the ITER Radwaste, Remote Handling and Hot Cell & Radwaste Service Integration Sections were present to discuss the best methods of decontaminating and cleaning tools and equipment that will be exposed to the harsh environment inside of the ITER Tokamak. These include components that make up the interior surface of the vacuum vessel, and tools used for remote handling operations inside of the vessel. During operation of the ITER Tokamak, particles of tritium, beryllium and activated dust will adhere to the exposed interior surfaces of the vacuum vessel. Decontamination and cleaning of tools and in-vessel components will be necessary in the Hot Cell Facility prior to hands-on maintenance activities, or for storage or disposal. Maximizing contaminant removal from components within the shortest possible timeframe, and within the operational constraints of the cleaning cells of the Hot Cell Facility at ITER, is the difficult and challenging task that was discussed during the workshop. Several techniques were investigated, assessed and ranked based on feedback from industry and the experiences of other fusion machines. Standing out as the most attractive options are laser ablation and CO2 blasting methods that loosen surface contaminants, associated with vacuum techniques for removal. Also discussed were ways to keep the radioactive inventory in the ITER Hot Cell Facility to a minimum.